Symposium Events has announced that Peter Reilly, Principle Associate at the Institute for Employment Studies (IES) will chair the 2015 Mission Critical HR Analytics conference. 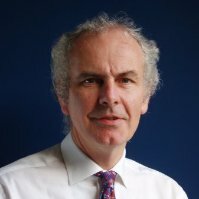 Peter gained a wealth of industry experience at Shell before joining the IES. He held various HR posts for the energy giant, in the UK and abroad, including both generalist jobs (as Personnel Manager for Shell UK’s Information and Computing division) and specialist roles (in compensation and benefits, recruitment and career development, and industrial relations). At the Institute he leads its work on the HR function and contributes to the Reward and Performance Management field. He has consulted for organisations on issues in this area and is a regular speaker and commentator. He joins a conference panel of HR experts from TalkTalk, Nationwide, Thomson Reuters, and other organisations on 2 July in London (venue TBC). Sessions will cover a range of topics related to HR analytics, including: the use of technology to underpin conversations, aligning HR with business drivers, changing behaviour through self-awareness and examining the talent capability review process. Peter was voted into the 2010 Top 30 Most Influential HR Thinkers in the UK by our arch-rival HR Magazine, so going by that accolade he’s an excellent choice to chair the event. We’ll be around, checking up on all the latest HR developments, so maybe we’ll see you there.